Australia Must Improve Training, Licensing, Standards and Practices for Waterproofers. For five Irish students and one Irish American, the date of June 16, 2015, should have been one in which they celebrated a 21st birthday party at an apartment in Berkeley, California. Each of the six died, however, following the collapse of a balcony on the fifth floor where they were standing. Several others were injured. 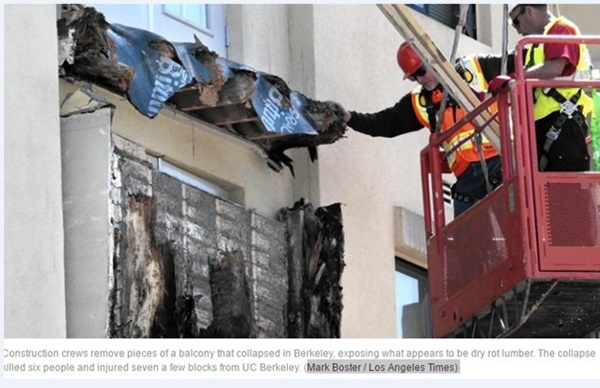 Grief for families turned to outrage, however, when the California State Licensing Board subsequently ruled that the collapse had been caused by shoddy material selection and poor waterproofing workmanship, which had enabled dry rot and decay to set in within timber joists. California is not the only state to experience problems. In New Zealand, a ‘leaky homes debacle’ saw tens of thousands of homes constructed which did not meet required watertightness standards. construction lawyer Kim Lovegrove wrote in article HERE. Efflorescence - What Is It ? And How to Reduce It? 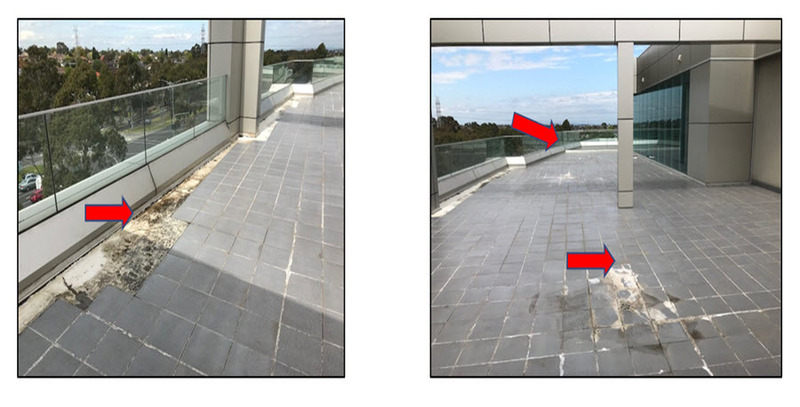 As shown above, failed waterproofing on balconies, terraces and rooftop decks very often become an eyesore due to the effects of white crystalline salt deposits. Efflorescence is a major defect issue within the construction industry, and is due to the migration of salts to the surface of a porous material, where it forms a coating. - and may also lead to structural issues, such as concrete cancer, rotting wood and even to collapse. Structural instability and collapse occurs within a concrete structure when water ingress impacts the steel reinforcing bar, causing rust which swells and pushes concrete away from the bar. Balconies also require appropriate drainage, sufficient expansion joints and must also be integrated to move with the existing building envelope. A significant issue is waterproofing that fails, particularly in hi-rise apartment buildings, is water ingress to the apartment immediately below. Water ingress can cause mold spores within unseen cavities (i.e walls and subfloor and tile sealants), which may then lead to sickness when entering ventilation systems. 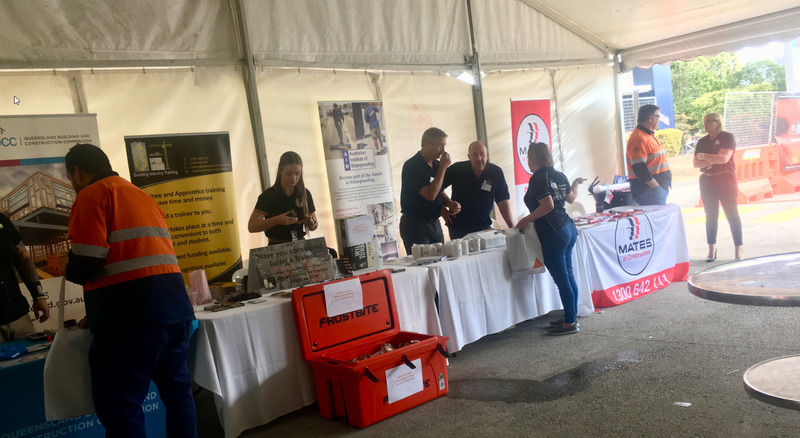 Findlay-Evans Waterproofing Company is based in Melbourne, and the Manager/Director Paul Evans is President of Australian Institute of Waterproofing (AIW). With effort in the right areas, prevention of water ingress in buildings can be vastly improved. This places the responsibility for ensuring waterproofing works are done correctly almost entirely onto the building contractor. Unlike in Queensland, licensing of those conducting waterproofing work in Victoria is non-existent. irrespective of their level of skill, knowledge or expertise." Waterproofing regulations in Melbourne Victoria, differ from other states within Australia. Each Australian state have their own waterproofing and building standards, licensing and regulations - which obviously makes it very difficult for the consumer. Each week the VBA receives several enquiries about the waterproofing requirements for wet areas. Building elements in wet areas must be waterproof or water resistant in accordance with the National Construction Code (NCC) and must comply with Australian Standard AS3740 – Waterproofing of domestic wet areas. Bathrooms, showers, laundries and toilets are considered to be wet areas within a home, and as such, the building elements in these rooms must be waterproof or water resistant. The NCC 2015 (Volume One – Table F1.7, and Volume Two – Table 3.8.1.1) provides details of the areas that are required to be water resistant or waterproof. If concrete or compressed fibre-cement sheet flooring is used in wet areas, the floor must at least be water resistant. 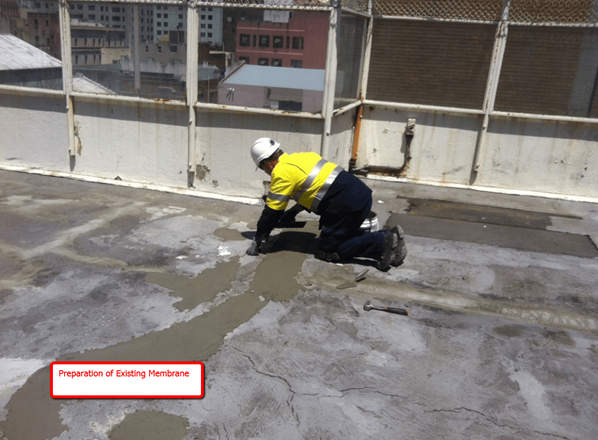 For further details of requirements regarding waterproofing, refer to the NCC and Australian Standard AS3740. If you have a technical enquiry you can contact the VBA by emailing technical enquiry@vba.vic.gov.au or phoning 1300 815 127. 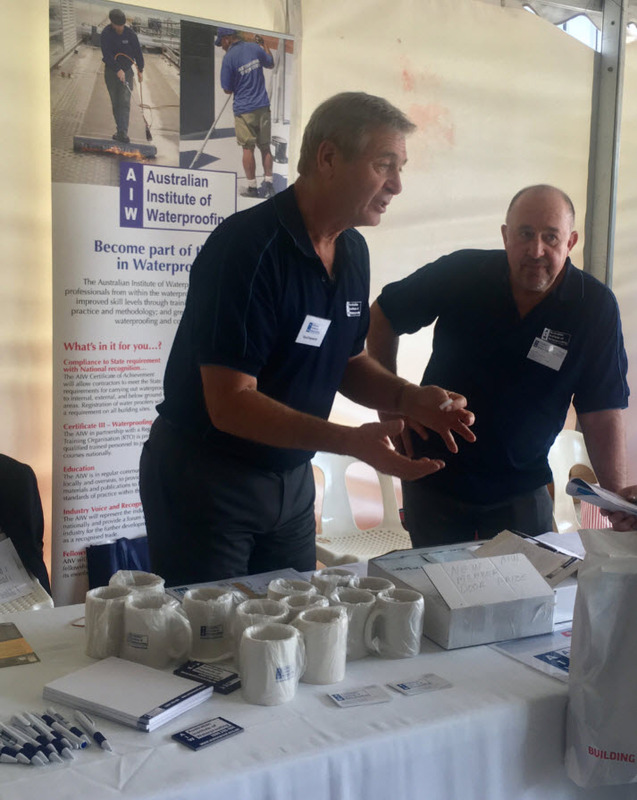 The Australian Institute of Waterproofing (AIW) is committed to raising waterproofing standards and training across Australia. The AIW supports registration/ licensing of waterproofing trades to improve the standard of work. The AIW is also involved in providing waterproofing training and best practices to all sectors of the building industry. 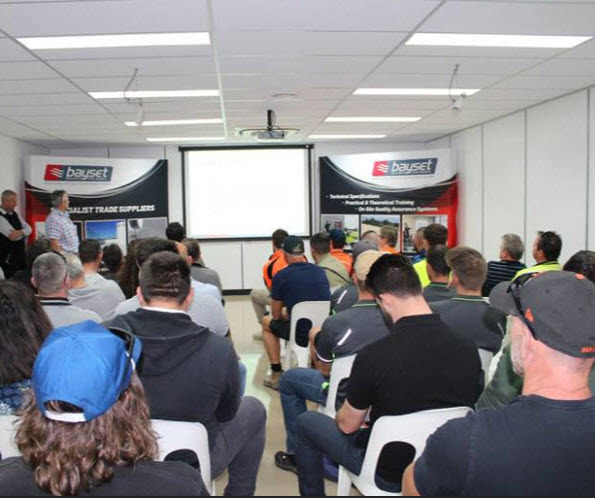 Over the few years, the AIW has collaborated with the Master Builders Association Victoria (MBAV) designing and scheduling a short course " "Waterproofing in Construction". This course has been designed to educate all construction industry professionals who have a responsibility to ensure a construction project is made watertight and perform correctly. 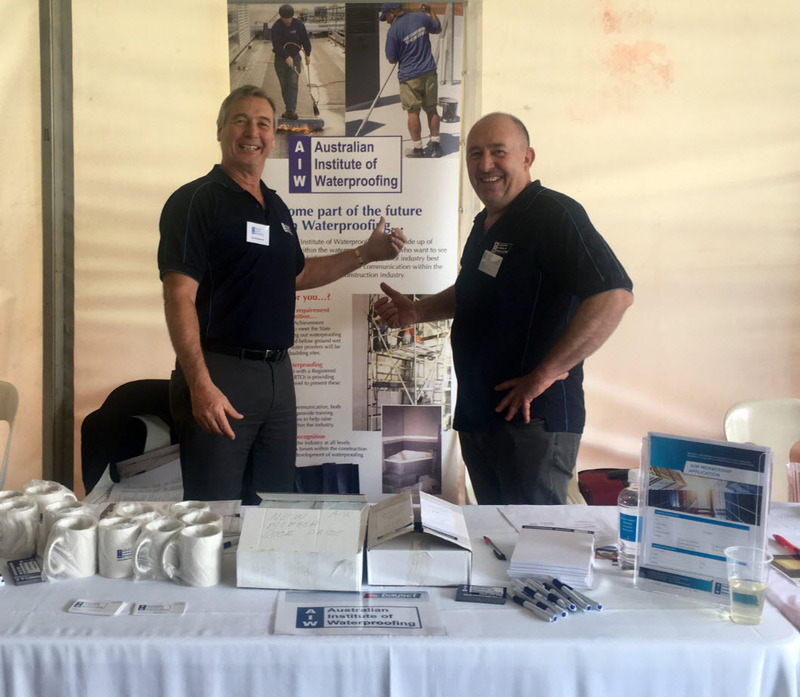 The AUSTRALIAN INSTITUTE of WATERPROOFING is proactively lobbying the Victorian Government, builders, architects, specifiers to bring about change to the waterproofing industry. Waterproofing Certificates, Warranties & Guarantees.